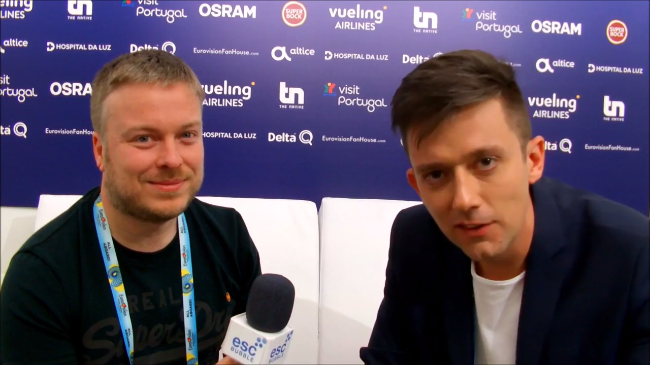 Yesterday, not long after Vanja Radovanovic had sung his song ‘Inje’ on the Altice Arena stage for the first time, he sat down with our Joe to catch up. Vanja has been drawn into the second semi-final on May 10, next Thursday, where he will be performing as 16th! Win a copy of Vanja Radovanovic’s promo CD of ‘Inje’!